Reset your body mind and soul through silent meditation and mindfulness, dyads and yoga. A week of guided contemplations in a pristine natural environment. 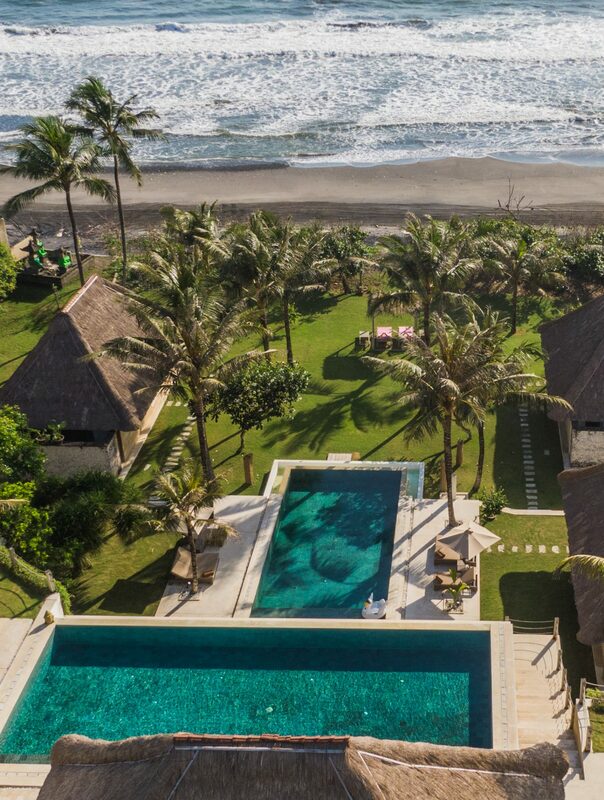 Held in a stunning private estate on the west coast of Bali. It’s time to feel something real. This is a small group retreat and places are limited. It’s time to feel something real! This is an immersion retreat for the adventurous. It is largely conducted through silent contemplation, with a new theme each day, allowing a greater sense of presence to develop through mindful sitting, walking, and empathic listening techniques. This is so that you become more familiar with yourself. Observe yourself, watching what you are thinking and saying. Simply being with yourself is to start knowing yourself. From there everything changes. It is a week where you will be in silence most of the time, although there will be occasions when you will be invited to share. It is a week to step away from the external world and the projections of who and what, you and others, think you are. It is for the curious, as it takes curiosity to sit with yourself in contemplative silence, free from all your personal and professional roles, your responsibilities, your gadgets, your friends and families and in addition, the identities you have been projecting onto yourself and out into the world. Know that it requires perseverance, courage and a good sense of humour to navigate the less frequently visited inner realms of yourself. For those of you who want to develop techniques for being with yourself more authentically and mindfully, so that you can operate with greater efficacy in your world, this immersion retreat is for you. Press pause and stop being directed by external distractions– So you can become more aware of what you have been being and doing, and let go of that which is impeding you from being and doing, who and what you would prefer. Connect with themselves more fully, in the here and now, in nature– So you can feel something real, remembering how your own heart beats and experience your breath leaving and entering the body. Listen to the resounding sounds of silence– So you can develop a daily practice of meditation, mindfulness & grounding, using techniques to become more comfortable and better at being with the ‘unplugged’ version of yourself, in the stillness of the moment. Drop out of the head and fall into the heart– So you can start aligning with your inner knowing and bigger dreams, creating the space to bring them in. A natural by-product of this immersion retreat, is being able to connect more authentically with others and that allows us to connect in a different way with the world that surrounds us. To sustain your practice, post immersion retreat, you will need to make a commitment to yourself, to find the time to continue to sit and walk, navigating the less frequently visited inner realms of yourself, with kindness and spaciousness. The very nature of this retreat will take us to the less frequently visited places around the world and the slightly ‘off the beaten track’ resorts and retreat centres. This will be assisting us through a natural and pristine environment in the external realms, to be with our unplugged selves in the inner realms. It is the perfect place for a retreat, set in a pristine environment, far away from the bustle of life where we will held in the estate grounds, fed organic vegetarian food and supported by a discreet Balinese team. All prices are per person, and all deposits are non-refundable. Final payments are due 75 days prior to start date and are payable by transfer. Soul Support Systems reserved the right to make any changes deemed necessary to our retreats. In the rare case of cancellation on part the of Soul Support Systems, we will offer you a transfer to another retreat or a full refund. Please take the time to understand the participant’s terms and conditions detailed below prior to registration with Soul Support Systems. You are required to confirm your agreement to these terms and conditions as part of the registration process. When you book a retreat with Soul Support Systems you will be deemed to have agreed to the participant’s terms and conditions and the details regarding the retreat as listed on our website. If you are booking the retreat for multiple people then all participants in that booking will be deemed to have read and agreed to the participant’s terms and conditions. In order to confirm a booking, you are required to pay a non-refundable deposit of 50% towards the price of the retreat. Full payment is due 75 days prior to the retreat start date. We reserve the right to cancel your booking if the final payment is not paid on or before the due date. Guests must cancel more than 75 days in advance of the retreat start date for a full refund, minus the non-refundable deposit. If you book less than 75 days in advance of the retreat, your payment is non-refundable. Soul Support Systems reserves the right to cancel any retreat or part of the retreat. In this event we will provide a complete refund (less any costs to Soul Support Systems which is not recoverable). If Soul Support Systems cancels a retreat for any reason, including Force Majeure, Soul Support Systems is not responsible for loss of funds in association with travel accommodation made by the guest. Soul Support Systems requires you to purchase travel insurance that has full medical evacuation coverage. Soul Support Systems also strongly advises all clients to purchase a “cancel for any reason” travel insurance. Each client is 100% responsible for any loss, penalties, fees, or other financial consequences arising out of booking a trip or the cancellation of a trip. If you are travelling solo, retreat venue permitting, and would like to book a double or triple occupancy room we will do our best to match you with a roommate. If we are unable to match you with a roommate then you will have to book a single room. 10. We will request permission prior to any photos/video footage being taken and those taken from the retreat which includes your image and/or name, being used for our marketing and promotional purposes on a royalty free basis. Each client assumes full responsibility for researching the safety and security of countries that will be visited. Clients may visit a physician who is knowledgeable about travel and medicine to know what vaccines are recommended. By booking a retreat with Soul Support Systems you confirm that you are in good health and capable of performing the activities for the retreat you booked. You are also confirming that you are able to care for yourself during the retreat and do not have any medical conditions that could create a risk for yourself or others during the retreat. Soul Support Systems is dedicated to your safety on our retreats however you must take responsibility for your own safety. You understand that you assume the risks and hazards inherent with travel. These risks and hazards may include, without limitation, delays, injury, illness, death or other unanticipated events, and may be caused by force majeure events, the negligence of Soul Support Systems or other persons (including third party operators), the intentional and/or criminal conduct of others or other circumstances. Certain locations are remote and require additional travel time away from city centres and towns; as such, medical attention may not always be readily available or may be of inferior quality compared to what is available at home. Also, you may be visiting places where the political, cultural and geographical environment is very different than where you live, and in some cases, these differences may present increased risks and/or challenges. We use reasonably available information from applicable foreign governments and reports from our contacts in planning each retreat itinerary, and assessing the viability of each retreat itinerary as the start date approaches. However, it is your responsibility to acquaint yourself with all available and relevant travel information for your destination and the nature of your itinerary. You acknowledge and agree that your decision to travel is made after having considered this information, and you expressly assume the personal risks involved with such travel. Indemnification: The participant recognizes that there is risk involved in the types of activities offered. Therefore the participant accepts financial responsibility for any injury that the participant may cause either to him/herself or to any other participant due to his/her negligence. Should the above mentioned parties, or anyone acting on their behalf, be required to incur attorney’s fees and costs to enforce this agreement, I agree to reimburse them for such fees and costs. I further agree to indemnify and hold harmless Soul Support Systems and the hosting organization, their principals, agents, employees, and volunteers from liability for the injury or death of any person(s) and damage to property that may result from my negligent or intentional act or omission while participating in activities offered. This includes but is not limited to parks, recreational areas, playgrounds, areas adjacent to main building, and/or any area selected for training. You acknowledge and agree that Soul Support Systems and its parent, affiliates, subsidiaries, officers, directors, shareholders, members, and employees, shall not be liable for any direct, indirect, consequential or incidental damage, liability, injury, loss, cost or expense you may incur (including any claim relating to personal injury, illness, death, property damage or loss, delay or other inconvenience) arising out of or by reason of (i) the acts or omissions of any Third Party Operator or (ii) the negligence of any of the Soul Support Systems Parties or (iii) any acts or omissions of any other parties or (iv) force majeure events. You release the Soul Support Systems Parties from any and all claims, liabilities, losses, expenses, damages, demands, actions, causes of action, lawsuits or sums of money of any kind arising out of, by reason of, resulting from and/or related to any trip you may book and/or participate in; and you understand and acknowledge that you are fully responsible for and expressly assume any and all risks, whether known or unknown, in connection therewith. Any personal information that we collect about you may be used for any purpose associated with the operation of the retreat or to send you marketing material in relation to our events and special offers. The information will only be disclosed to our agents, service providers or other suppliers, to enable us to operate the trip. An environment free of allergens, including but not limited to food allergens, CANNOT be guaranteed on a Soul Support Systems retreat. Therefore, the released parties cannot guarantee that any particular food product is free of all traces of any particular allergen, that consumption of a food product will not result in some form of allergic reaction, or that the participant will not come into contact with any allergens while in attendance on Soul Support Systems retreats. The undersigned acknowledges and agrees that i) she/he is aware of such risks and that participation in the event will expose the participant to food, activities and persons that may result in exposure to allergens and injury and, in that regard and assuming such risks, the undersigned hereby fully releases and discharges the Released Parties from any and all liability and/or responsibility to the participant, the undersigned, or any third party for death and/or injuries to the participant, and/or any direct, indirect, punitive, incidental, or any damages that arise out of or relate to participant’s participation in Soul Support Systems retreats and/or exposure to food allergens. Soul Support Systems reserves the right to update and/or alter these Terms & Conditions at any time. Current information can always be found on www.soulsupportsystems.com and any updates and/or changes will supersede any previous versions. As consideration for being permitted by Soul Support Systems to participate in these activities, I hereby agree that I, my assignees, heirs, distributes, guardians, and legal representatives will not make a claim against, sue or attach the property of Soul Support Systems, their affiliates, employees, agents or volunteers or any of their affiliated organizations for injury or damage resulting from acts, howsoever caused, by any employee, agent, or contractor, or any of their affiliated organizations, as a result of my participation in Soul Support Systems events. I hereby release Soul Support Systems, and any of their agents or affiliated organizations from all actions, claims or demands that I, my assigns, heirs, distributes, guardians, and legal representatives now have or may hereafter have for injury, damage, or death resulting from my participation in Soul Support Systems retreats. I am medically, physically, emotionally and in all respects fit and able to participate in Soul Support Systems retreats. I agree I will be fully and financially responsible for my own physical condition and well-being during the retreat and will follow the safety precautions and instructions prescribed by Soul Support Systems. I acknowledge that Soul Support Systems may make suggestions from time to time that are intended to help me and my well-being. However I take ultimate responsibility for my choices and realize that Soul Support Systems is not licensed medical provider and that I must consult my doctor. If I experience pain or discomfort during the retreat, I will modify Soul Support Systems instruction to suit my individual needs. I will not hold Soul Support Systems responsible for any pain or discomfort I experience during or after the retreat. I understand that the activities offered on this retreat are not a substitute for medical care. I understand Soul Support Systems is not qualified to perform spinal or skeletal adjustments, diagnose, prescribe, or treat physical or mental illness. For the benefit of everyone Soul Support Systems reserves the right to accept or reject any participant at any time without liability, and in the event it determines, in its sole and exclusive discretion, that a participant is disruptive to the harmony of the retreat, it may without any obligation to pay a refund or any other amount whatsoever, expel such participant from the retreat. Soul Support Systems will carry no responsibility or liability for any participant who leaves the retreat prior to its conclusion or for any activity undertaken by any participant which is not included on the retreat itinerary. By agreeing to the terms outlined here and elsewhere on the Soul Support Systems website I hereby release and discharge my rights and claims for damages or liabilities that may occur as a result of participation on a Soul Support Systems retreat. This Agreement shall be governed by and construed in accordance with the laws of the United Kingdom, without regard to its conflict of laws rules.